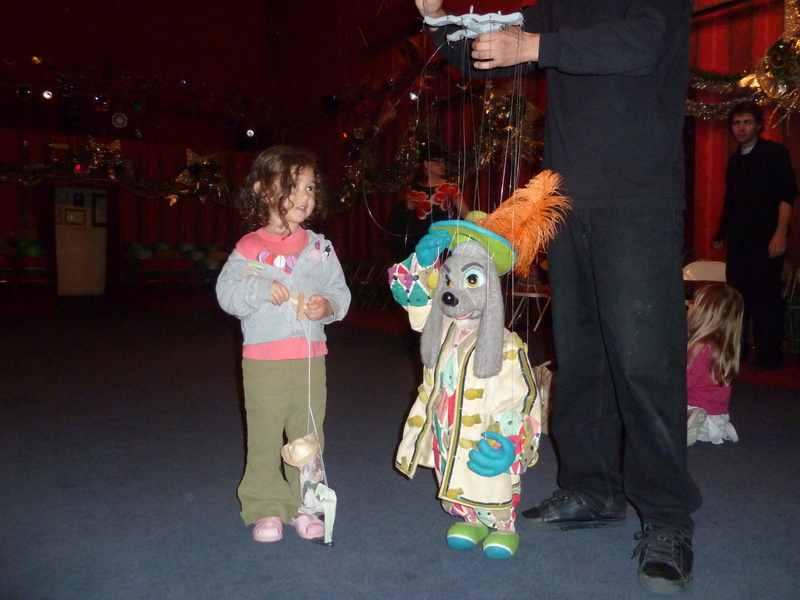 Bob Baker Marionette Theatre has been on my list of things to do with my daughter since she was a few months old. 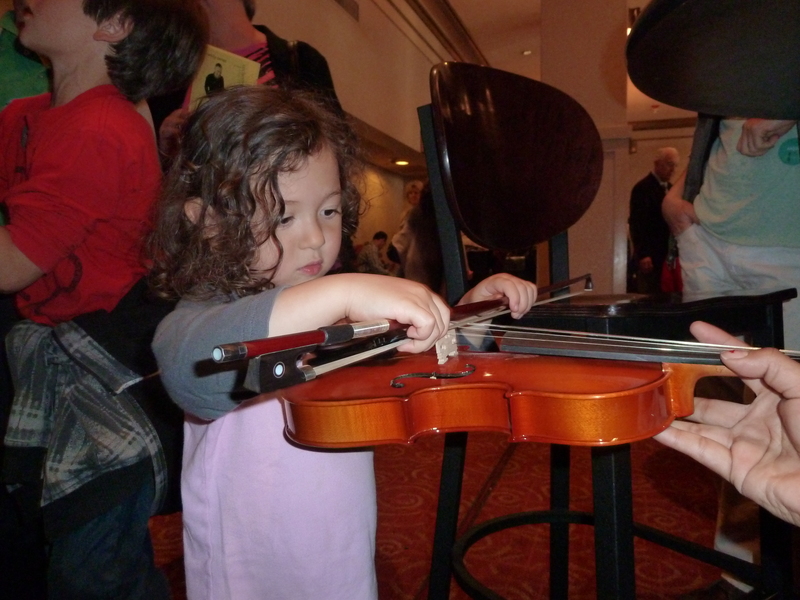 This past Thursday, we were invited to see their show, Magic Strings, at their theatre in downtown Los Angeles. 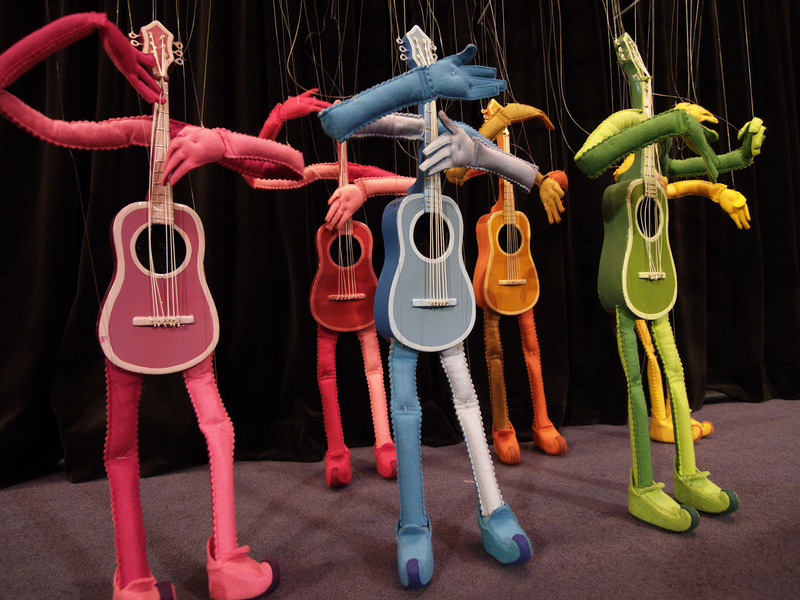 The show is a series of vignettes devoted to showcasing the puppet’s magic strings – how a puppet sings, woos, dances, plays piano, nuzzles, tickles, inspires laughter, amazement, and delight. Bob Baker has been a professional puppeteer for most of this 87 years. While he wasn’t performing in this show, his five apprentices carried on his tradition of entertaining children of all ages. When we sat down in his charming theatre in the round, I smiled watching all the expectant audience members. They ranged in age from a newborn to several groups of elementary students to a group of senior citizens. 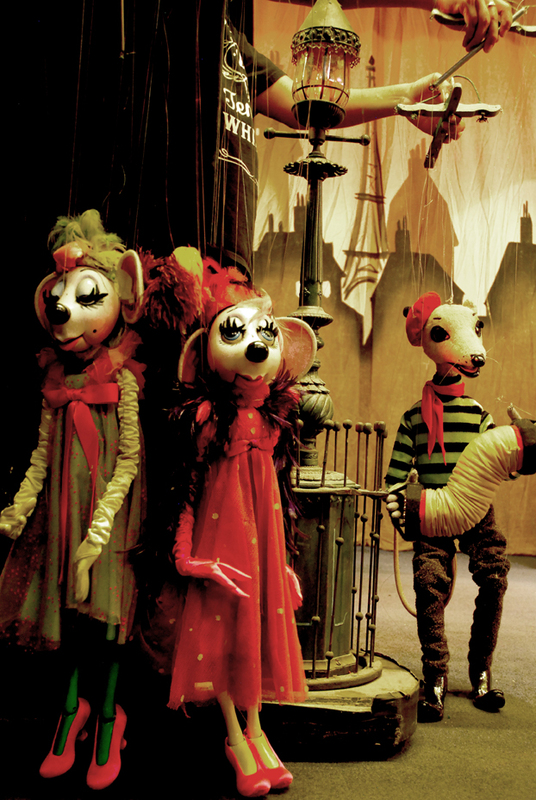 They were all excited to see, for their first time, a marionettes show. This show features over 100 puppets, including some that have been in his collection for over 50 years. He has 3000 puppets in total and one day hopes to create a full-time Academy of Puppetry and Allied Arts adjacent to the theatre so many will learn the craft of puppetry. Right now, his not-for-profit Academy of Puppetry, subsidize tickets for students from local area schools to attend performances and helps develop languages resources so the experience of seeing live theatre may be brought back to the classroom. Bob Baker Marionette Theatre has been declared a historic cultural monument by the City of Los Angeles on June 3rd, 2009. 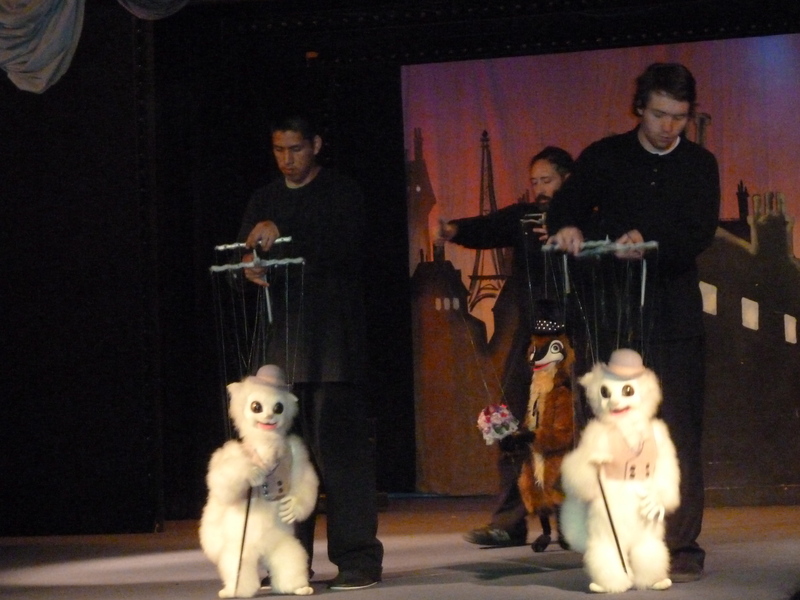 The puppets interact with the audience throughout the show. 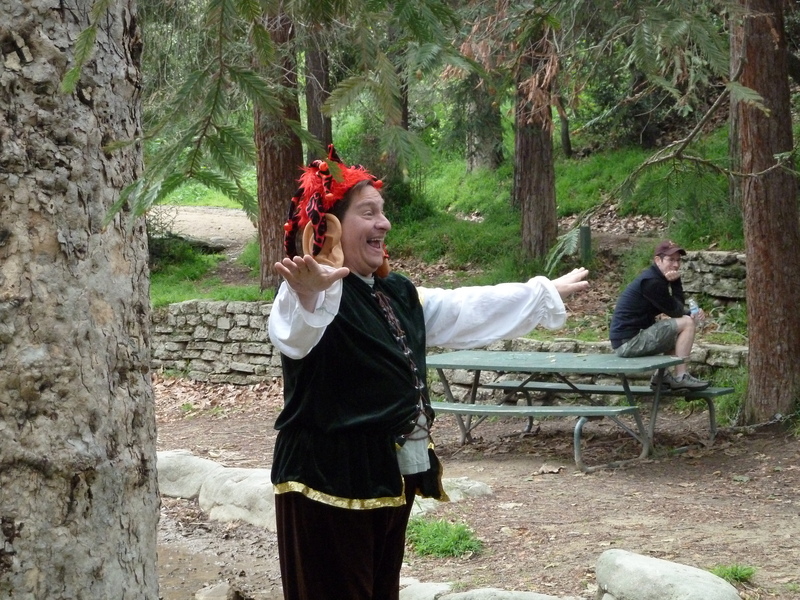 As soon as a puppet approached an audience member, Mishy wanted the puppets to come to her. “How come she’s not coming to me?” she asked. 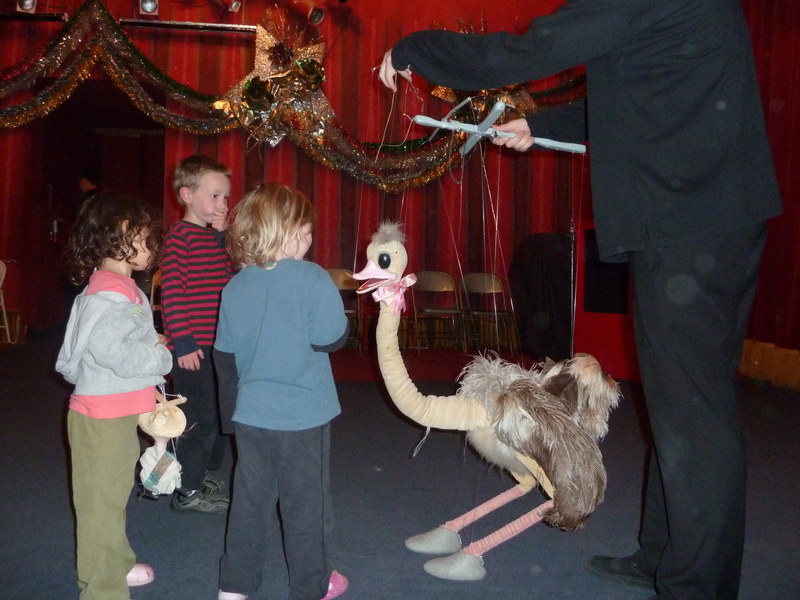 When the puppeteer with one of the ostriches puppets was nearby, I motioned for him to come to Mishy and he did. The ostrich nuzzled and nibbled on Mishy’ hair. She loved it. The only section of the show that was a bit slow and too dark for Mishy was the fan dance. She wanted to know where their eyes were. 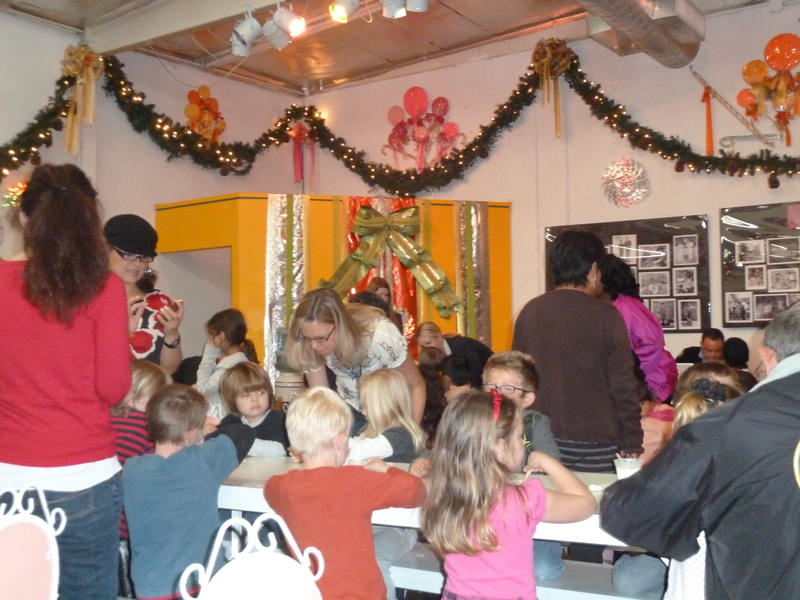 After the show, the audience was treated to ice cream in their cafe/birthday party room where you may also purchase hand-made collectible marionette puppets, as well as Mexican made puppets, Bob Baker coloring books, posters, and other fun stuff. When Mishy expressed she would love to see some of the puppets, I asked one of the puppeteers who asked us which one would we like to see. Mishy said the dog, who was the Master of Ceremony. Mishy meeting one of the horses. 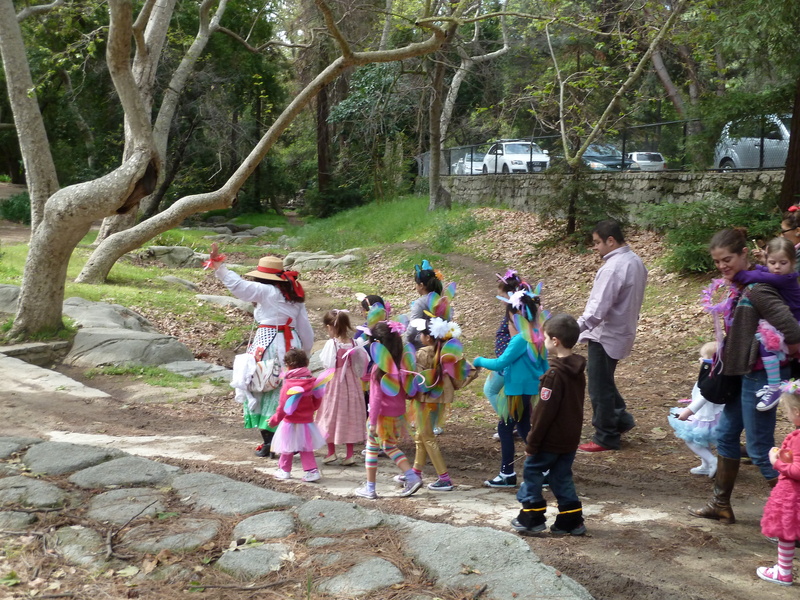 First, we met one of the horses because another puppeteer brought it out for other children to see. 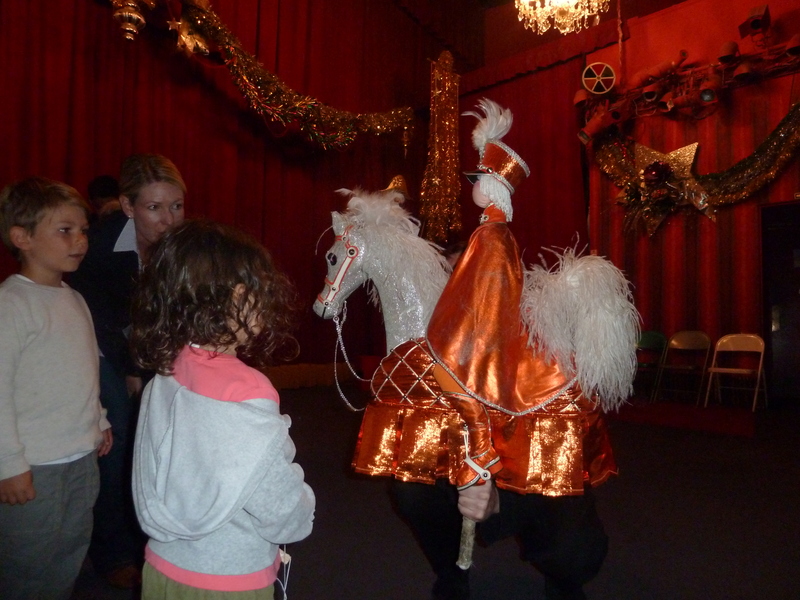 The puppeteer, Alex, showed how the horse’s mouth moves. If you use the code “Mom Blog 04”, you will get tickets at the special rate of $12.00 per ticket*. 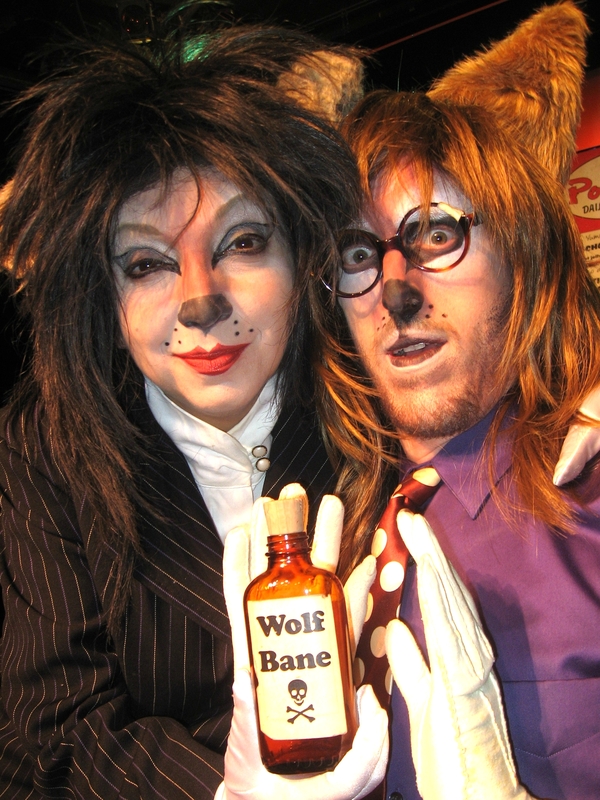 This code is good for available weekday performances only (Tuesday through Friday) during the month of April 2011, and can only be used by calling the Bob Baker Marionette Theatre box office ahead of time to make a required reservation at 213-250-9995. The theatre itself is situated in an unusual spot and reminds me of going to independent art galleries in New York in the late 1990’s – slightly remotely located and with buildings with barbed wire on top of their walls. Nevertheless, it is safe and they have a private parking lot where it’s $3 to park. We parked on the street for free. 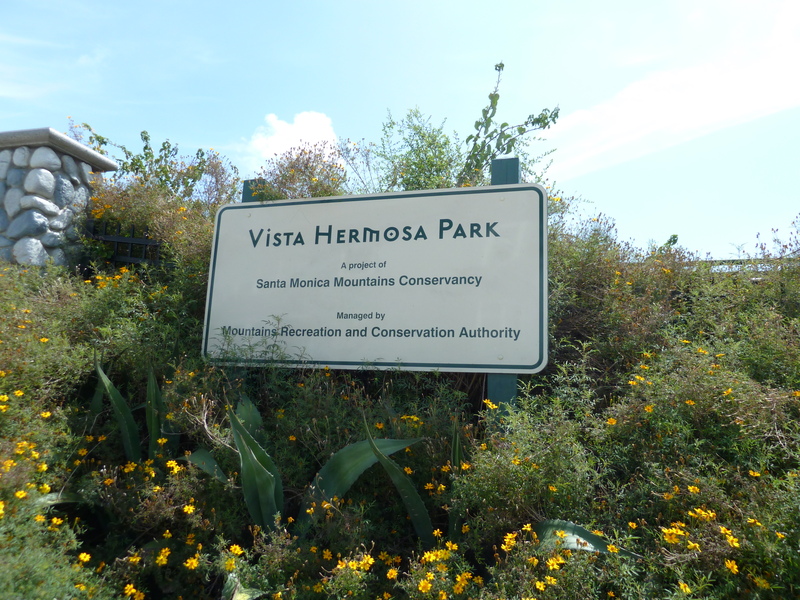 Cool tip: After seeing the show, you may want to go for a hike at nearby Vista Hermosa Park. It is just kitty corned to Bob Baker Marionette Theatre. Mishy waiting to see Epoxie. We there early. She was very excited. Mishy and I have seen a lot of shows since first visiting Epoxie in Studio City at Two Roads Theatre two months ago. When I told Mishy, Epoxie was again performing in a revamped show, she wanted to see him right away. 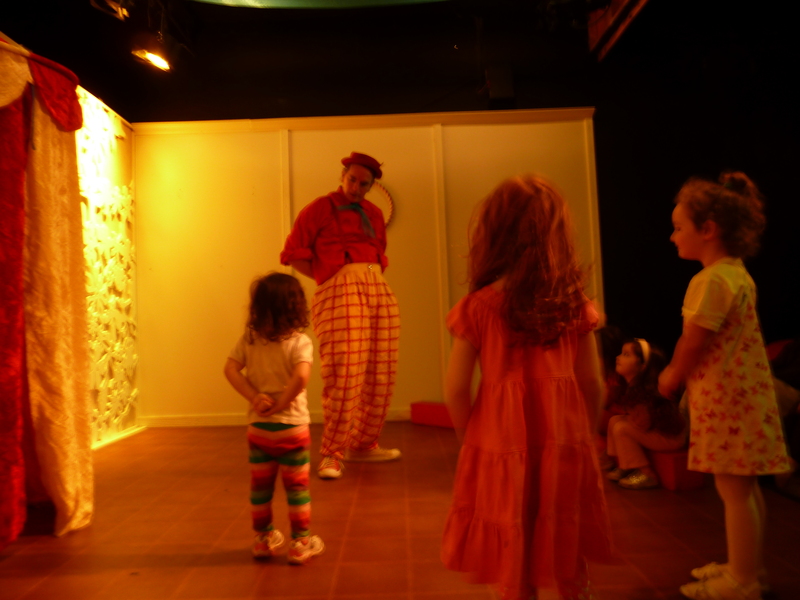 As soon as the theatre doors opened last Monday, she ran inside and was welcomed by Epoxie, played lovingly by Philip Briggs, an experienced clown who has the ability to make everyone feel at home, feel heard, respected, and enjoy their time by laughing. And laugh we did. A lot. Mishy balancing a peacock feather on her hand. 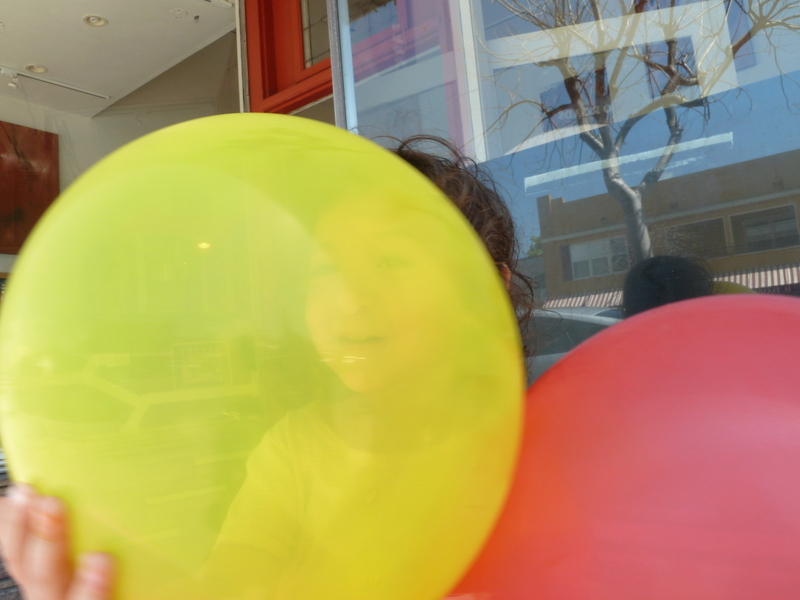 We also learned a few circus tricks. The show is incredibly interactive. 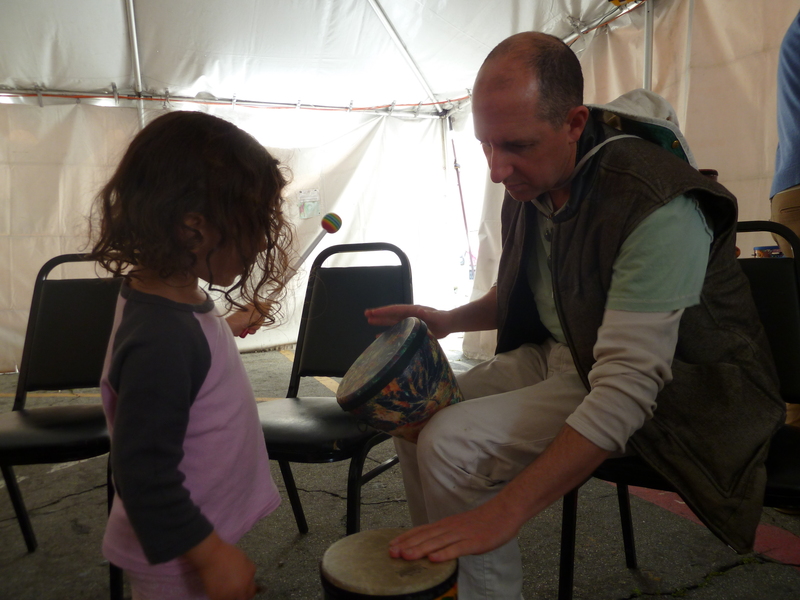 Children and parents are welcome to sit up on stage and participate as much as they would like. In fact, the rules of the show are: you may eat – popcorn is sold in the lobby – you may walk around, you may talk to Epoxie during the show, you may even leave – though I can’t imagine anyone wanting to leave because it really is a fun show. Mishy performing her circus trick. Mishy even performed a trick of her own. She put her hands behind her back and asked him if he knew where her hands are. While the show has a structure, Epoxie welcomes audience suggestions. 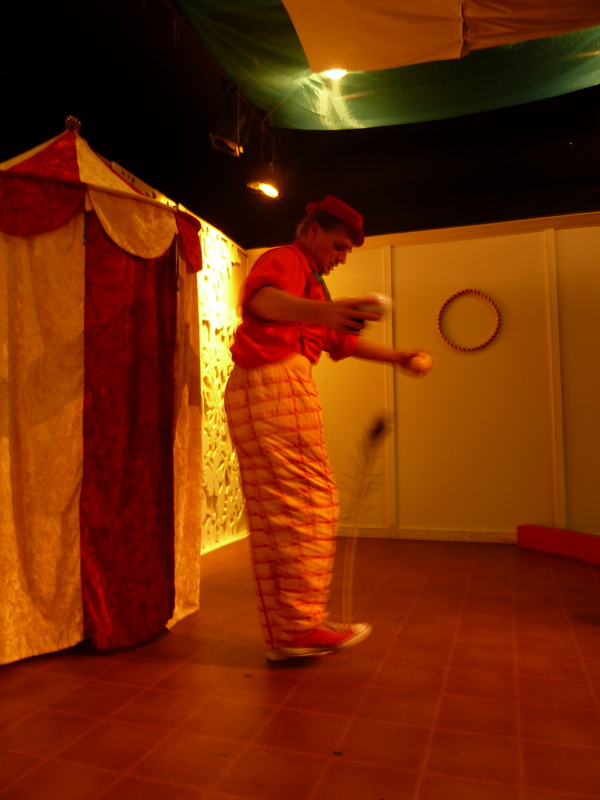 One girl asked Epoxie to juggle while balancing a peacock feather on his foot and he tried and did it – just because she asked and even thanked her for the suggestion. Epoxie about to juggle and balance a peacock feather on his foot. What I love about this show is that it gives the tools of how to juggle, how to balance things on body parts, how to perform magic tricks – how to be a clown! 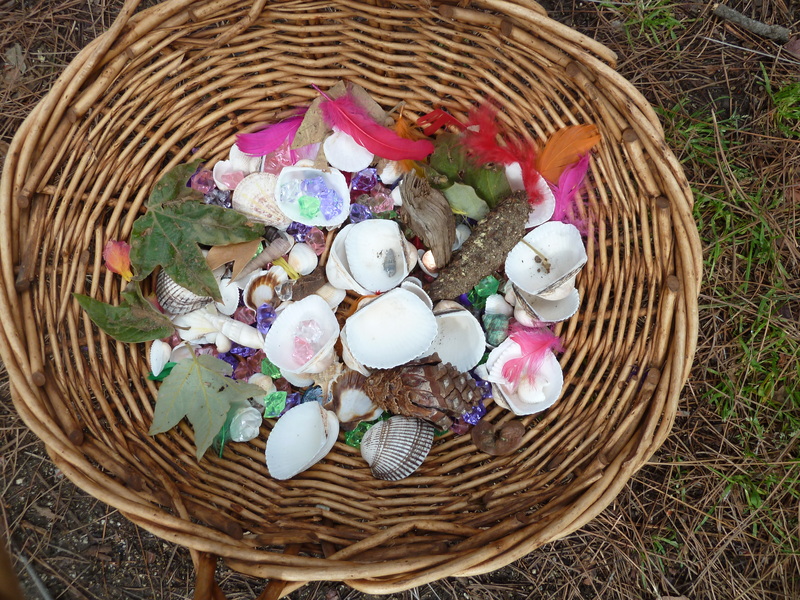 – in a way that children feel like it’s natural for them to know and learn and practice and have fun trying. 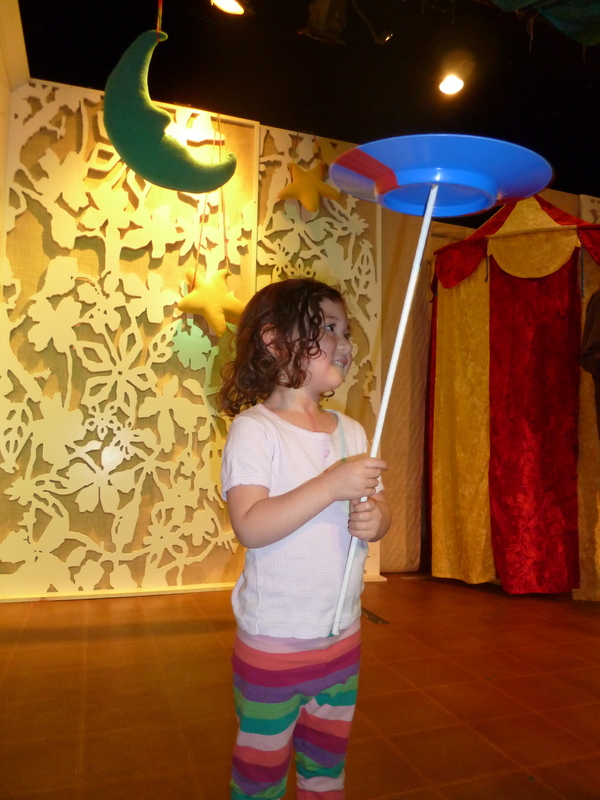 Mishy is balancing a plate on a stick! 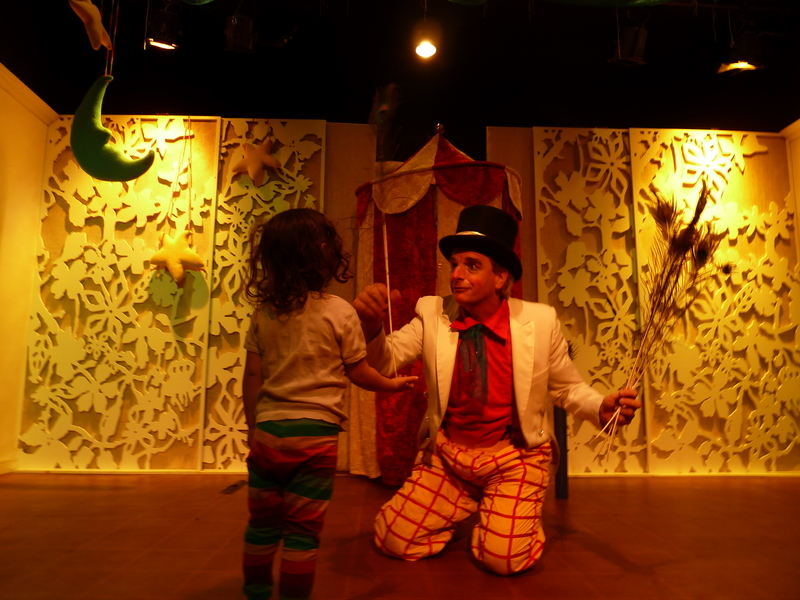 There are many wonderful opportunities to enjoy theatre with your children in Los Angeles and The Magical and Joyful Spectacle of Epoxie produced by Jumbo Shrimp Circus is a must see for parents and children in their early years. Again and again. We plan to return and bring a lot of our community of friends with us. 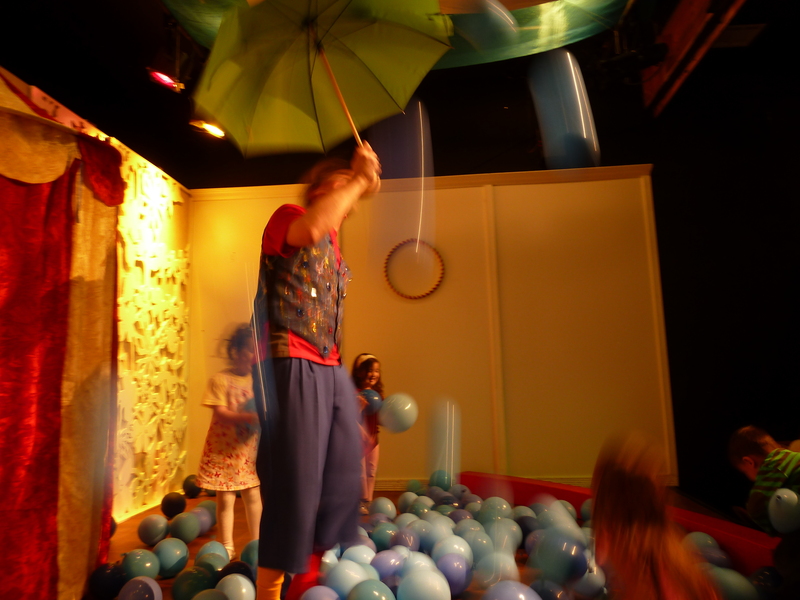 When the show was over, every child was able to take one balloon with them as a souvenir. 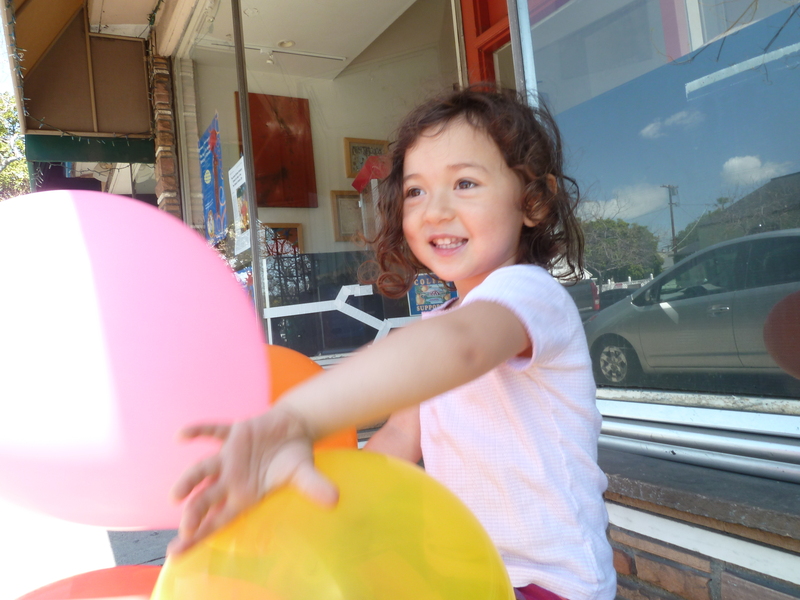 Mishy didn’t want to leave until she saw Epoxie was in the lobby, signing balloons. What I also love about this show? It is so clear to me how much Philip Briggs cares about doing a great show for his audience. He’s a father. He has so much patience for being with children and loves playing with them, while being entertaining and letting the children and adults learn a few circus tricks at the same time. Tickets are: $10 for children $12 for adults, $8 per child for groups of 10 or more. 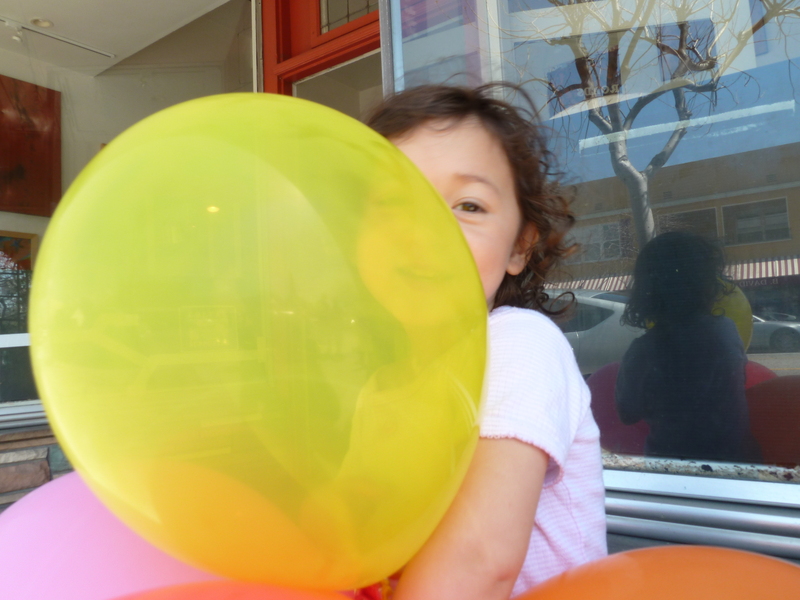 Mishy hiding behind a balloon. 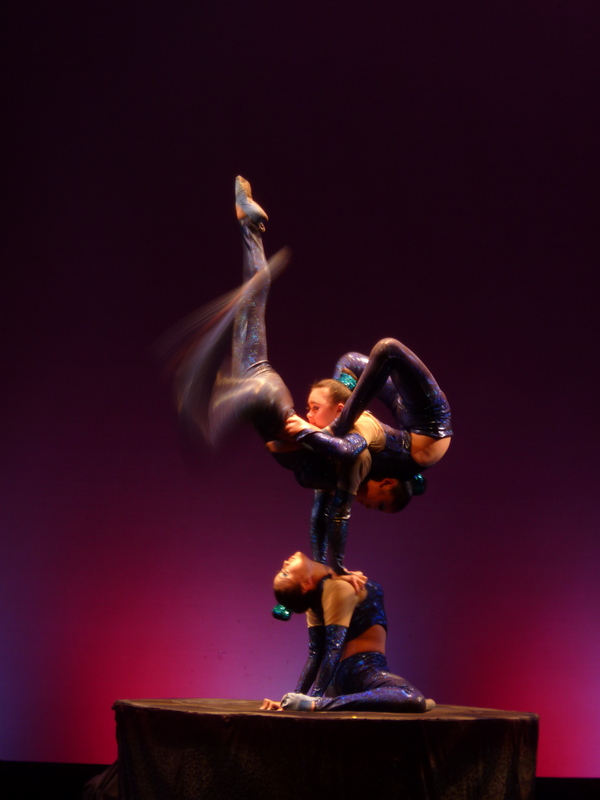 Last Sunday, we went to see the mesmerizing Golden Dragon Acrobats at the Torrance Cultural Arts Center. Every detail of this show was carefully thought out and well executed. It’s visually beautiful with its colorful costumes and simple, yet effective lighting design and props. The movements were extremely precise, astonishing, and done with flair, fun, and control. Neither myself, nor my husband, or Mishy have seen an acrobat show that left our mouths hanging open the whole time we were lucky enough to be part of the audience. We could not believe what we saw was physically possible and the talented performers made it seem so easy. The show touched on several cultural icons and symbols – from Thai mystical figures, to Indian Goddesses, to Mexican hat tricks. It was a marriage of artfully executed human feats with a travelogue around the world. 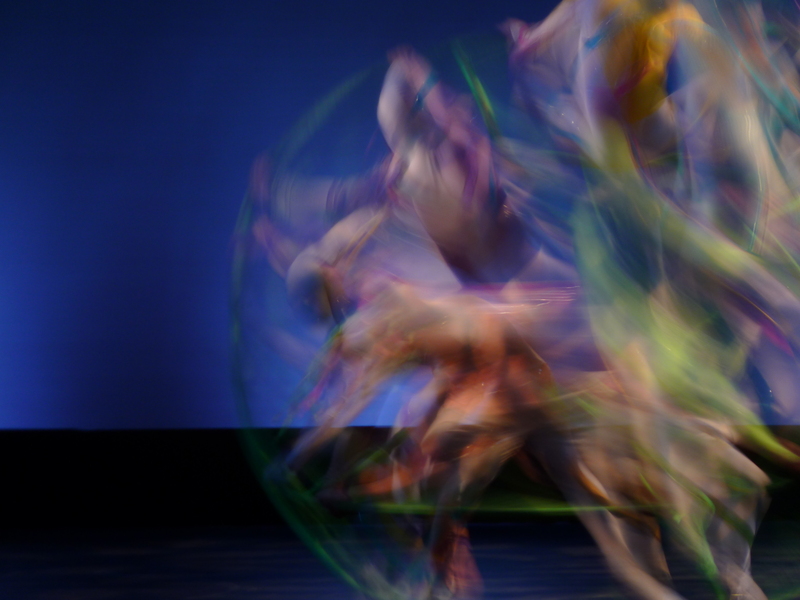 It also featured modern dance movements and futuristic creations that were both dark and light. The dark not being scary, but interesting, and a shift in tone. 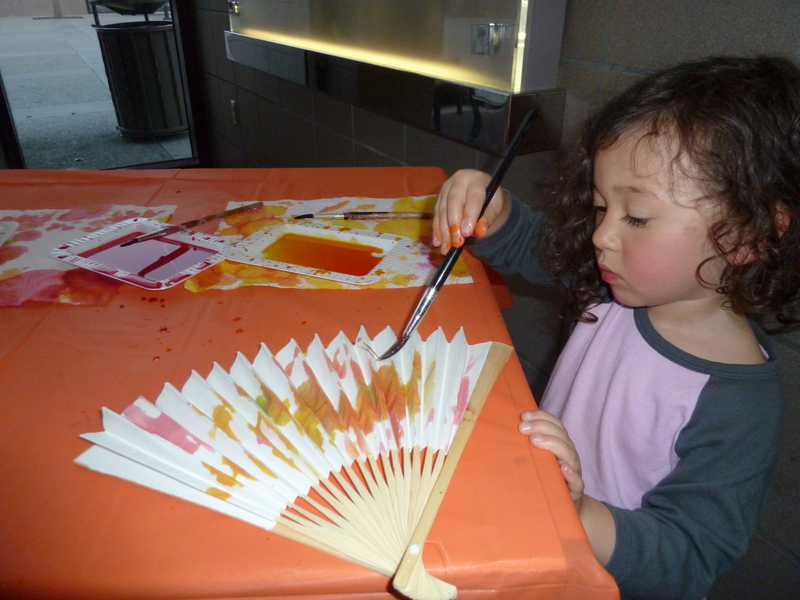 Prior to the performance, during intermission, as well as after the show, the audience members were invited to paint fans in the lobby. 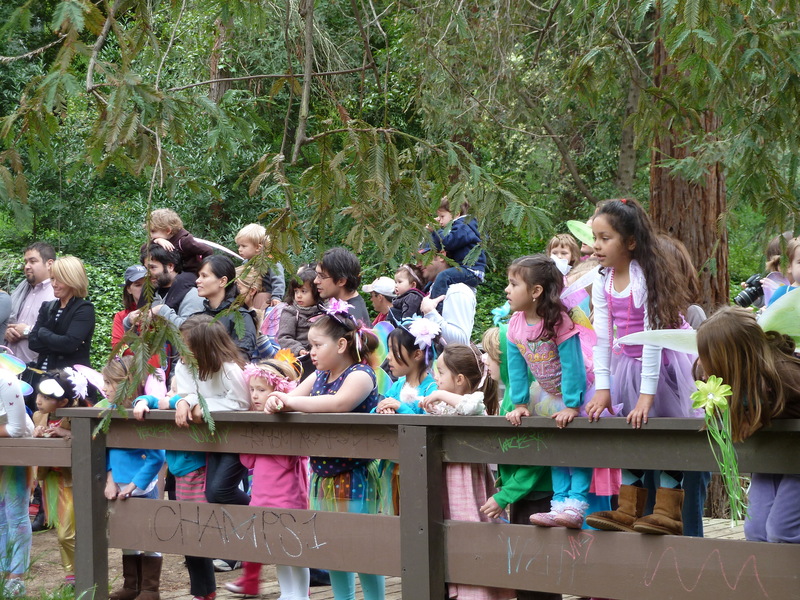 This was led by Art To Grow On Children’s Arts Center Inc., a local South Bay area arts enrichment programs which provides services to preschools, elementary schools, not-profits organizations, parks and recreation services, camps, corporate day care facilities and more. The Torrance Cultural Arts Center is a comfortable and modern theatre which seats five hundred and two. It also features two spacious outdoor plazas and a Japanese Garden. They offer a variety of family and adult programming and entertainment. 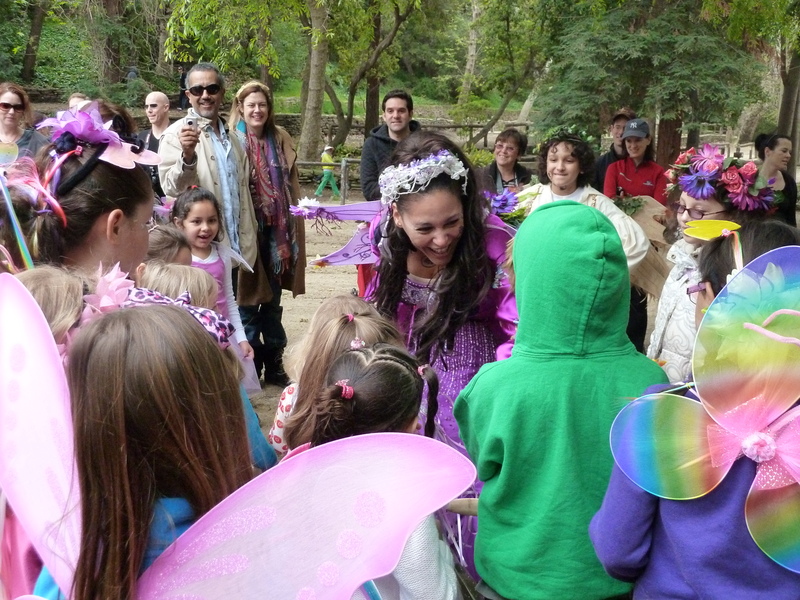 Their upcoming show for families includes, The Chipper Experience, Where Comedy and Magic Collide on April 30th, 2011 at 2PM and 8PM. Chipper has been named “Comedy Magician of the Year!” by the International Magicians Society for the second time. According to the press release, he has a unique brand of wit, original comedy magic and audience participation that has delighted literally thousands of audiences for over a decade. This show also features guest performer, Jade, who took the male-dominated world of magic by storm in 1990, when she won first place in the International Brotherhood of Magicians’ World Magic Competition. 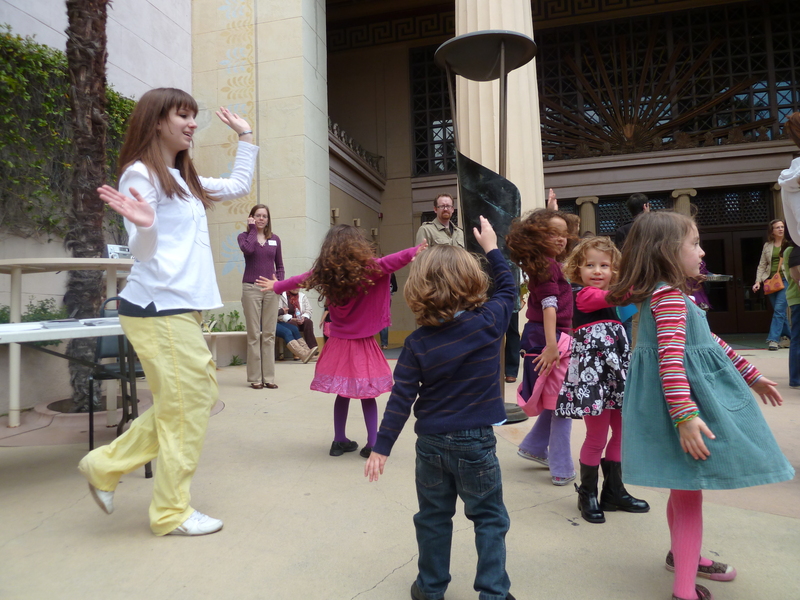 Parking at the Torrance Cultural Arts Center is free and very easy. We were given press tickets to see Golden Dragon Acrobats. Our opinions are our own. 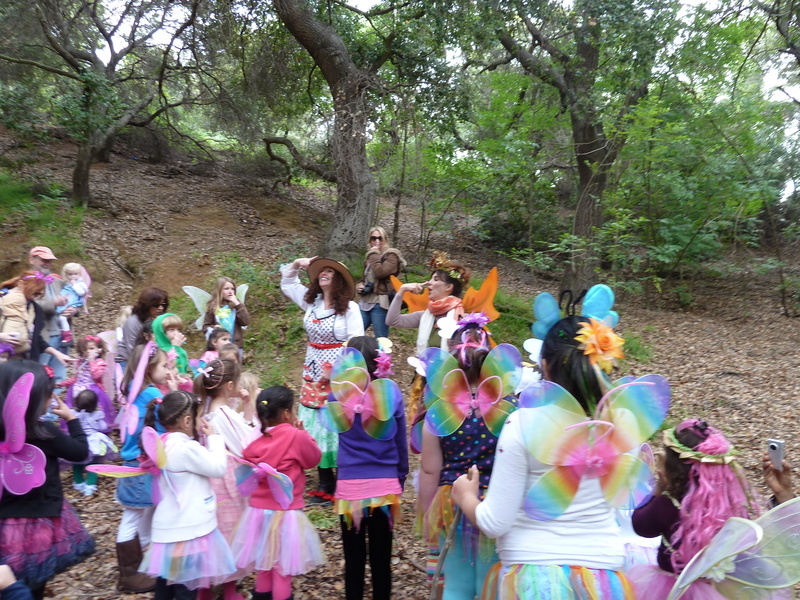 We’re Off To See The Wizard In Thousand Oaks! 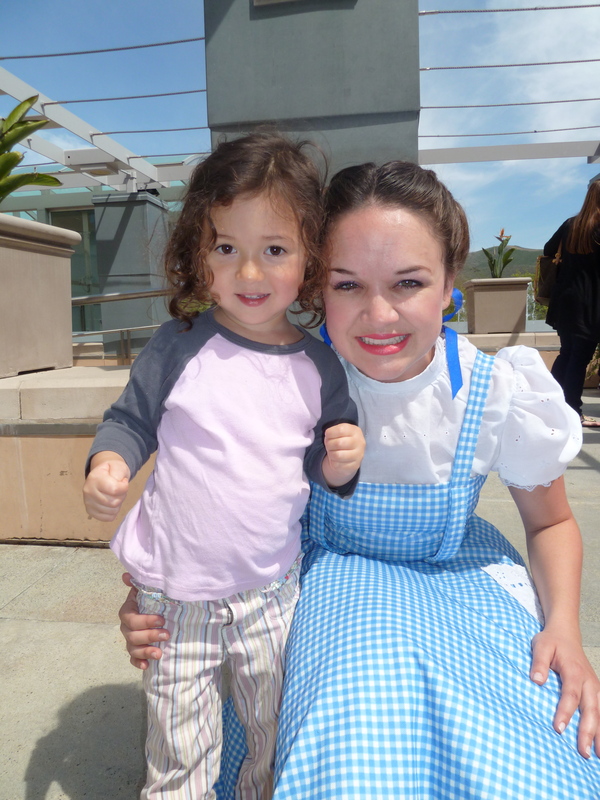 On Tuesday, Mishy and I were invited o see The Wizard Of Oz at the Thousand Oaks Civic Arts Plaza. 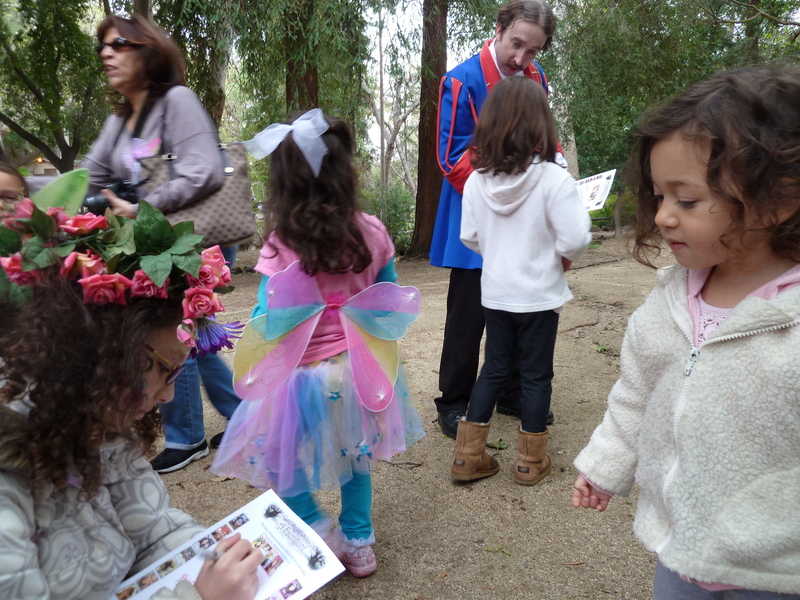 This outing was arranged by Field Trips 4 Kids, an organization dedicated to providing quality, educational and entertaining shows for children of all ages. I personally was concerned that The Wizard Of Oz would be a bit scary for Mishy because I remember seeing the movie and the flying monkeys scared me. My husband assured me that if it says it’s for all ages, it’s for all ages and the monkeys don’t exist in the musical version. Just to be sure, I let Mishy know I will hide her face if any scary bits come up. She said that would be fine. 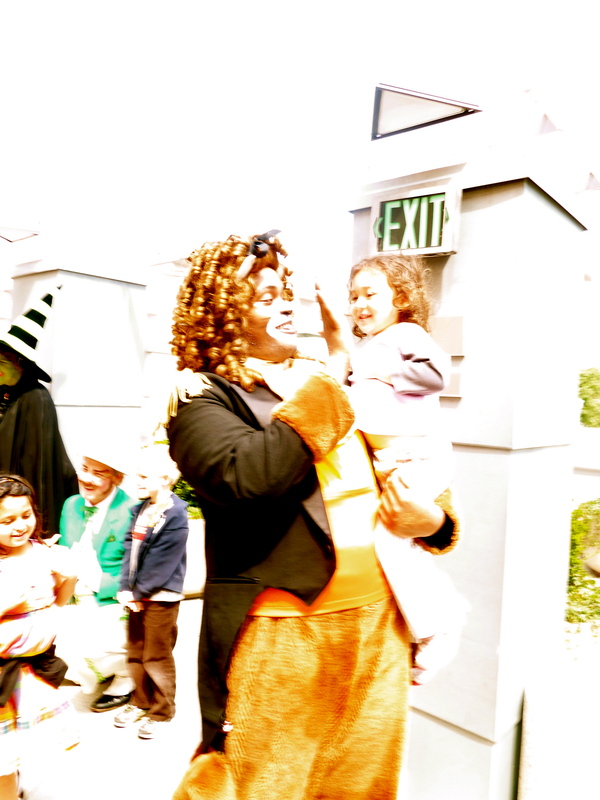 This was our first time at an outing by Field Trips 4 Kids and also the first time Mishy saw a musical. She loved it! She sat on my lap and watch and listened. In between scene changes, she hugged and kissed me for taking her to see the show and then once the scene change was over, she quickly sat back on my lap to continue to be entertained. This musical version was pared down and featured a cast of seven – with all cast members doubling roles, except Dorothy. 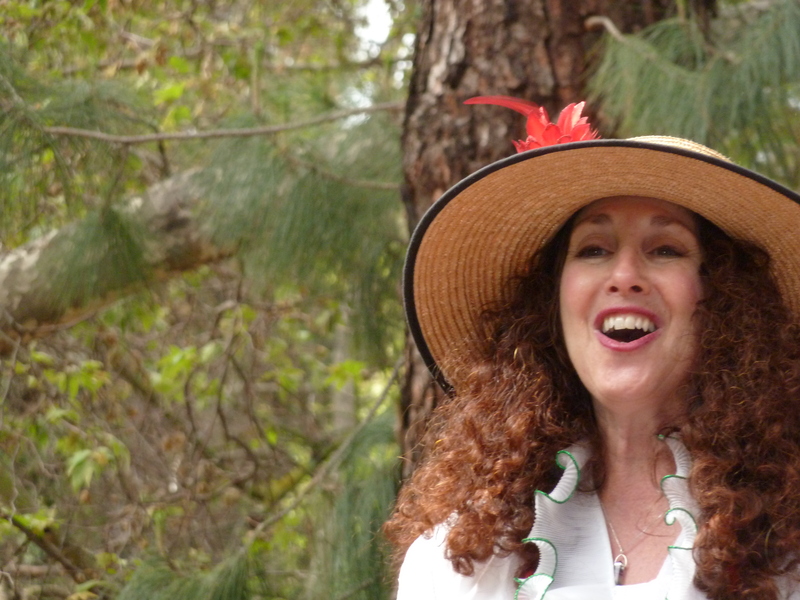 It featured a multiracial cast who all acted and sang with gusto. The songs were different from the movie version, though they had the same spirit. Mishy wasn’t scared at all and neither were others in the audience. It was a truly fun and entertaining show for all ages. Mishy giving "Lion" a high five. After the show, Mishy eagerly rushed to meet all of the actors who were waiting outside to greet the audience. 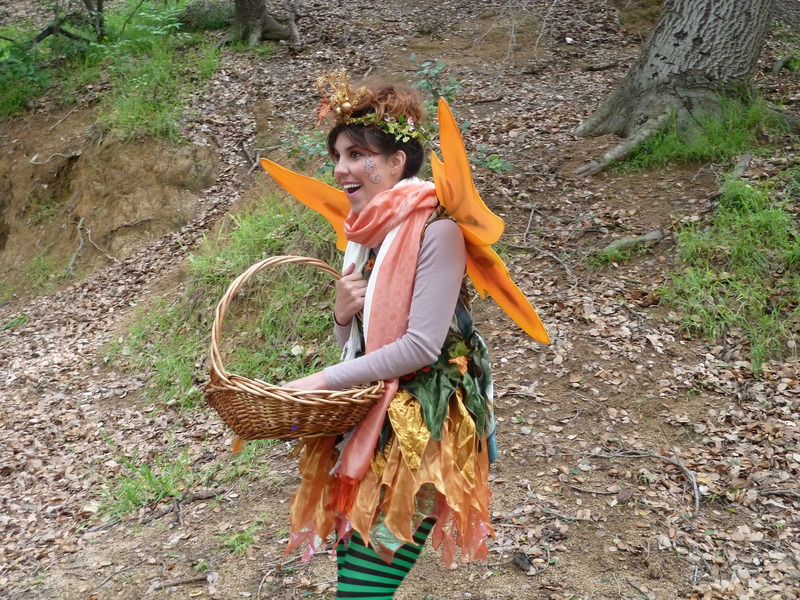 She was fascinated by the Wicked Witch of the West and asked her why she was green – she was born that way. She also asked why she’s so wicked. The answer? “I’m not always wicked. 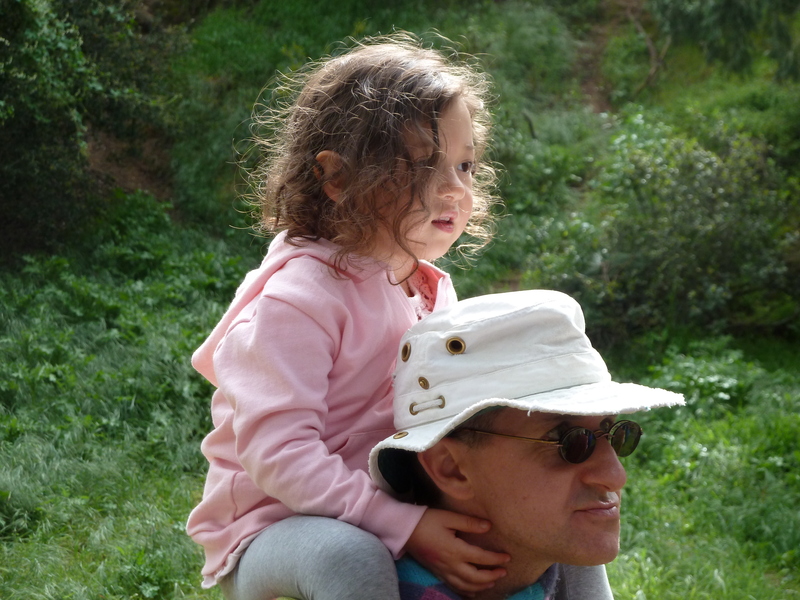 I was just having a bad day.” I was glad to hear even though the characters may be labelled, “wicked” and “good,” in reality, no one is truly “wicked” or “good” and it opened up a discussion with my daughter as we drove home, with a stopover at Noah’s Ark at the Skirball Center – it’s on our way home. 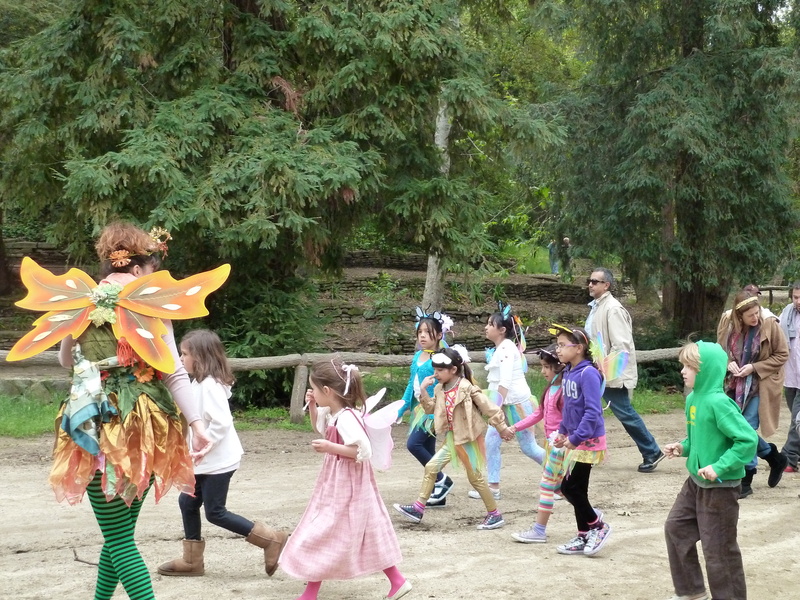 Field Trips 4 Kids has several upcoming shows this year. 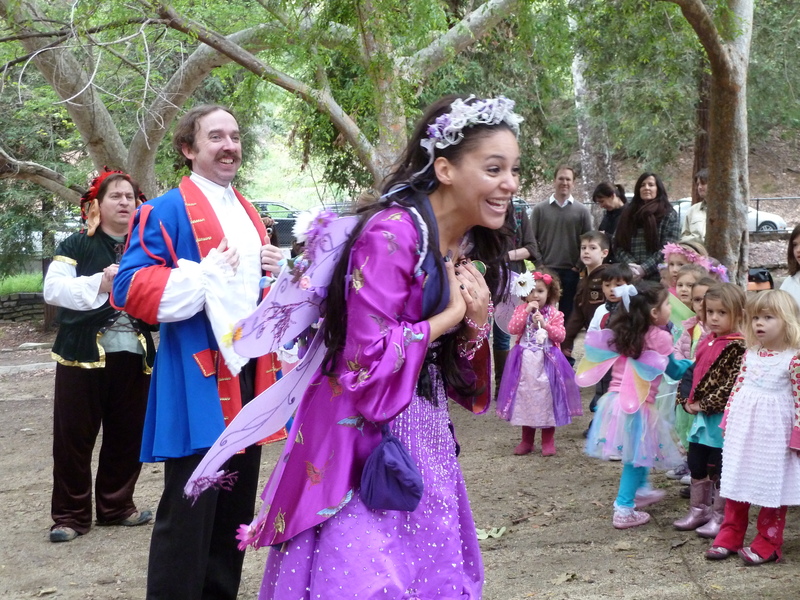 They include the ballet, Sleeping Beauty, on May 20th, 2011 at 9:30AM and 12 NOON as well as The Super Scientific Funny Stuff Circus on July 13th at 10AM. Tickets are only $10 for groups of 15 or more and $14 for individual tickets. Both shows are recommended for all ages. 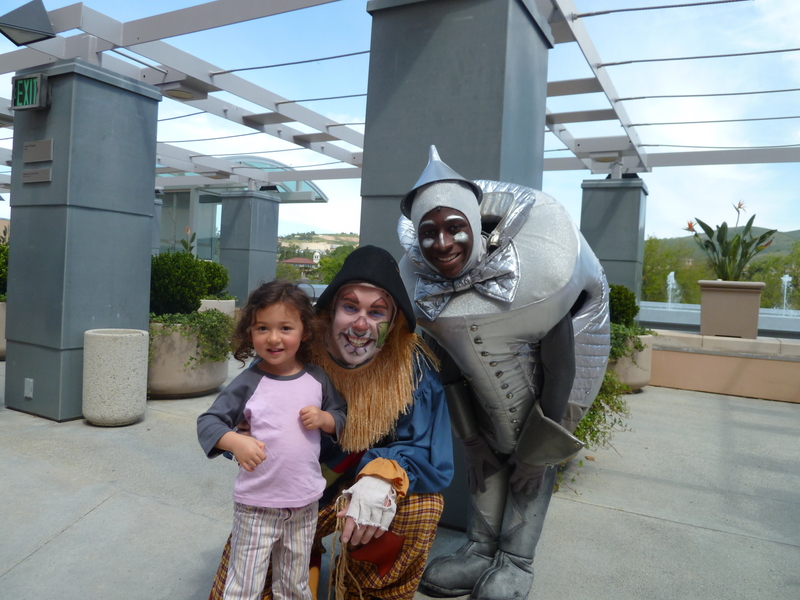 Mishy with "Scarecrow" and "Tin Man." 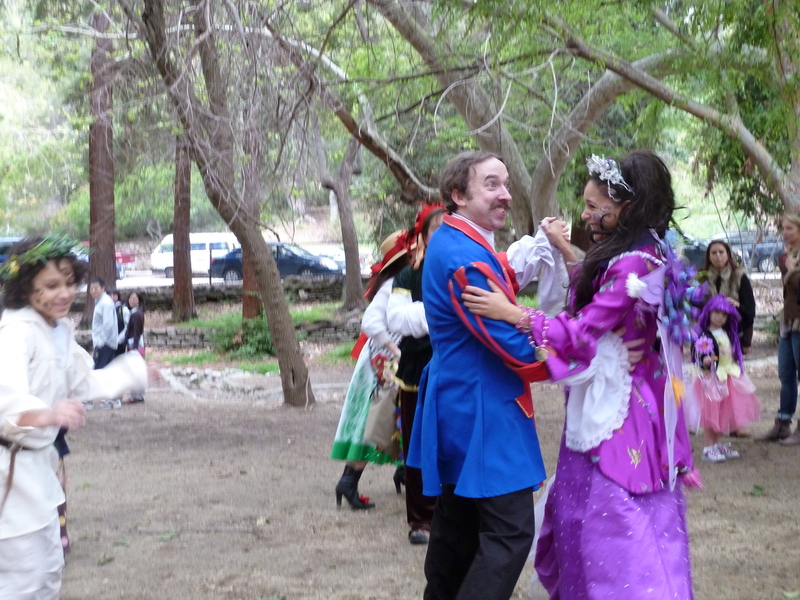 Parking is free and easy – it’s lot parking right by the Thousand Oaks Civic Arts Plaza. 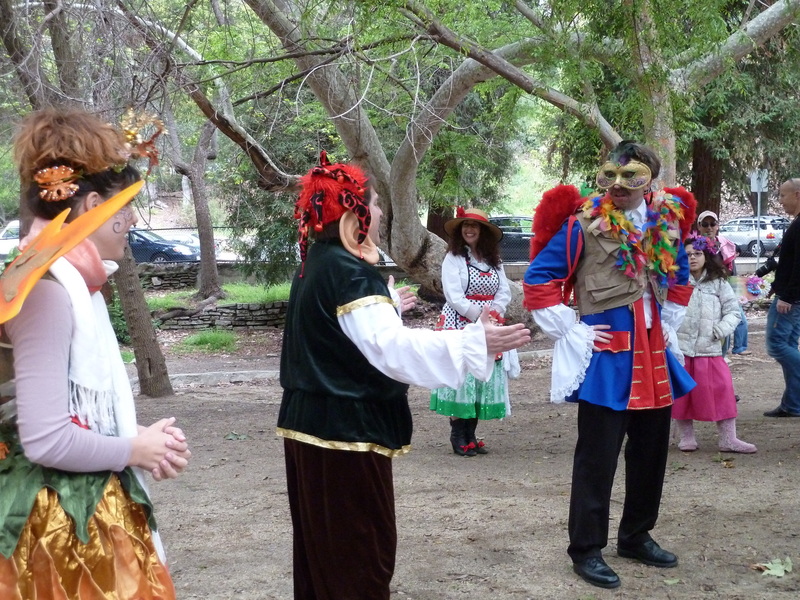 On the other side of Thousand Oaks Civic Arts Plaza is a beautiful garden – Gardens of The World, which is free to enter. On the other side of the Thousand Oaks Civic Arts Plaza is a mall with plenty of restaurants and a small playground for the children. Visiting either after seeing a show makes for a full, fun, and educational day. 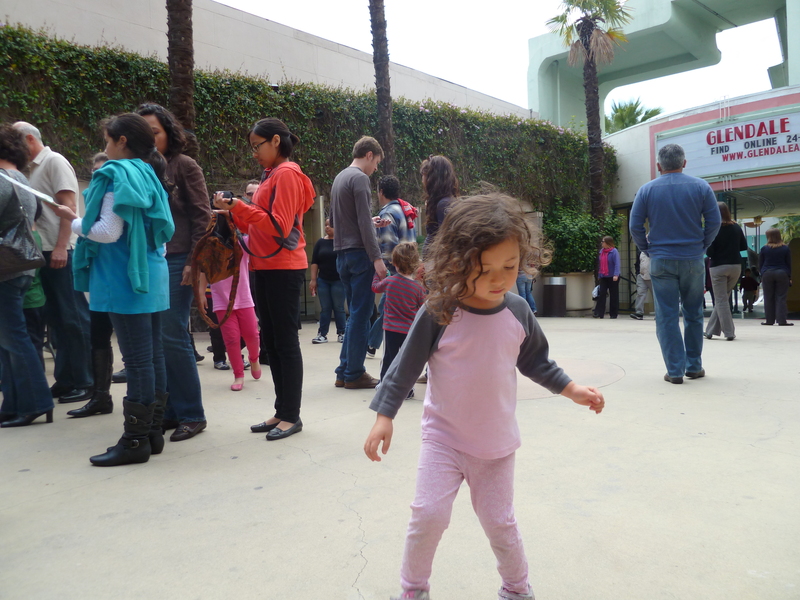 On Saturday (courtesy of MJ and Natural Travelling Momma blog) my six year-old daughter and almost two year-old son and I saw the Santa Monica Playhouse production of Barnyard Madness with the Three Little Pigs. It’s a fast paced, all singing-all dancing musical theatre romp that puts a new spin on the old tail (tale) with a Romeo and Juliet storyline. It’s full of porky puns and wolfish wit to keep the adults entertained and an array of endearing animal characters beautifully performed with good ol’ country accents that mesmerised my children. The simple message that pigs and wolfs can be friends despite their differences was conveyed with snappy lyrics and dialogue. The actors mingled with the crowd beforehand connecting with genuine warmth and humour. 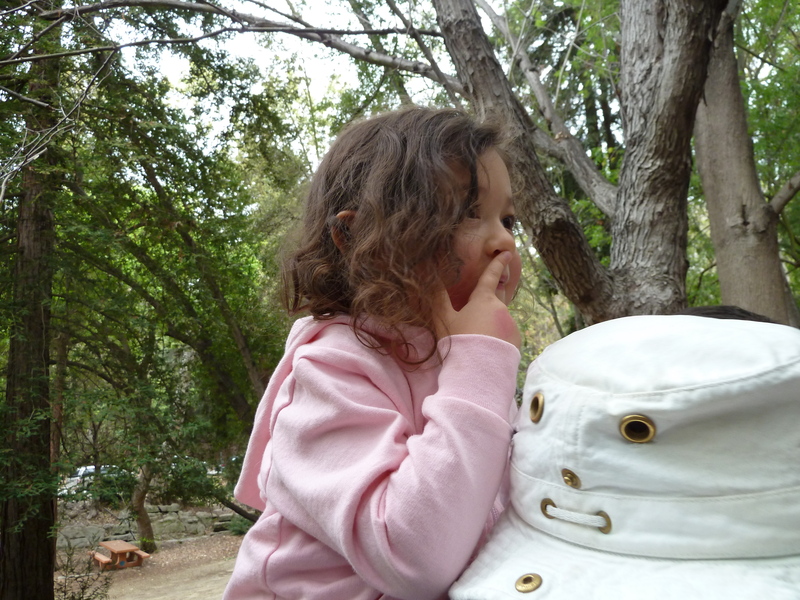 My daughter stood holding hands with the French female Big Bad Wolf for ages, in complete trust and totally won over. The actor’s respectful and approachable manner together with the charming theatre made for a rich theatre going experience. The actors certainly were busy, simultaneously running a birthday party after running Saturday morning classes and interacting before, during intermission, and after the show. 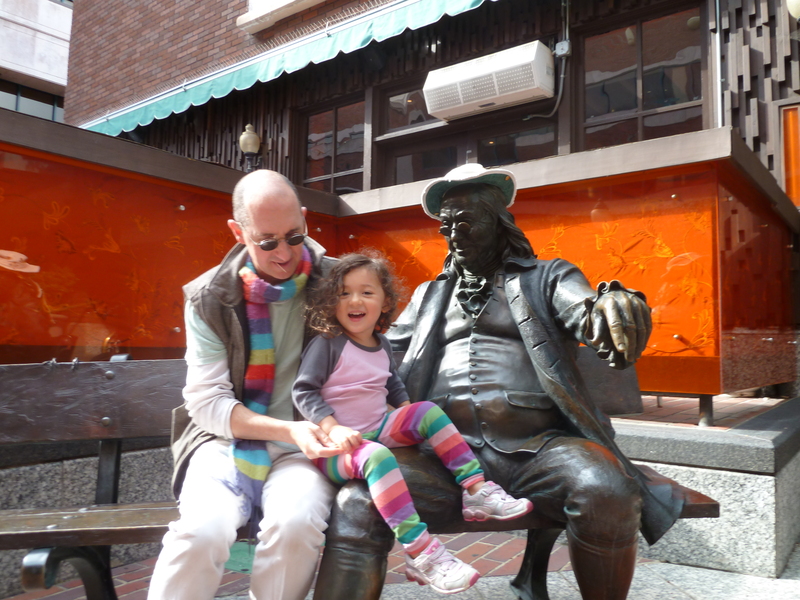 The Playhouse has a long history and we were told how they are currently hit upon by hard times. Would be a shame to see a theatre with such a big heart and a local business and icon fold. 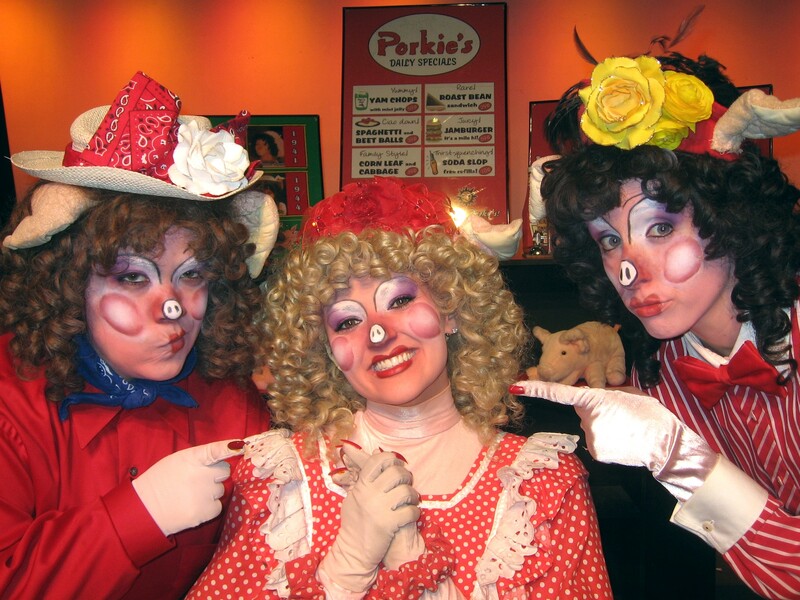 Barnyard Madness was designed as an educational show but for a public audience it had all the right ingredients for good old-fashioned entertainment and the audience was definitely invited in to share the fun. 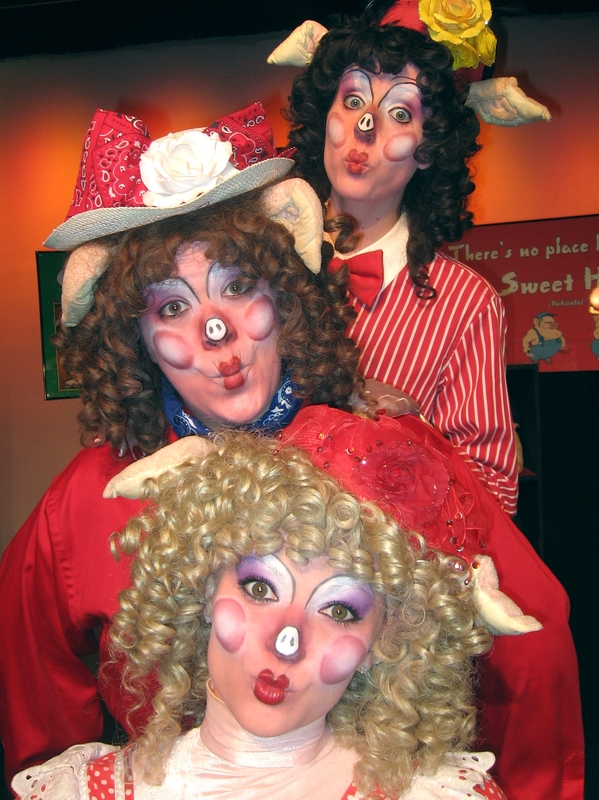 *Natural Traveling Momma is excited to offer a chance for two readers to win two tickets to see any upcoming show of Barnyard Madness with The Three Little Pigs at the Santa Monica Playhouse. It runs Saturday and Sunday at 12:30PM and 3PM until May 22nd, 2011. The suggested age for the show is 2-102. Tickets are normally $12.50 for adults and $10.50 for children 12 years and under. If you would like to enter the giveaway, please comment below. If you click on to the link above regarding details of the show, comment again below and you’ll gain another entry. Good luck! This giveaway ends Friday, March 18th at 5PM. UPDATE: Congratulations Kathy, Connor’s mother and Edie – you’ve both one two tickets to see any upcoming show of Barnyard Madness! I’ve emailed you privately.